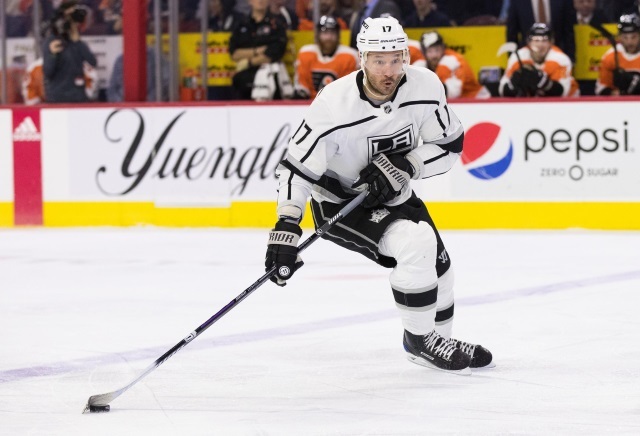 Kovalchuk may be willing to waive his no-movement clause for …. Jimmy Murphy: Heard last night that Los Angeles Kings forward Ilya Kovalchuk could be willing to waive his no-movement clause for the New York Islanders and the Boston Bruins. TSN: Bob McKenzie said that Andrej Sekera nearing a return and off the LTIR, the Edmonton Oilers need to move out some salary. They’ve been trying to trade defensemen Alex Petrovic and Brandon Manning, two players who they acquired earlier this season. Manning was acquired on December 30th from the Chicago Blackhawks with Robin Norell for Drake Caggiula and Jason Garrison. He carries a $2.25 million through next season. Petrovic was acquired on December 30th from the Florida Panthers for Chris Wideman and conditional 2019 3rd round pick. The pending UFA carries a $1.95 million salary cap hit. Could the Canucks look the free agent market this offseason? Chris Nichols of Nichols on Hockey: Elliotte Friedman was on Sportsnet 650 and was talking about what the offseason may hold the Vancouver Canucks. Friedman notes that the Canucks could consider taking a big swing at the free agent market this offseason. Though they have been trending towards the bottom of the Western Conference, they have been more competitive than many have thought. “But I wonder if they’re going to be tempted to take a swing at one of the top free agents out there. I’m really curious about it. I’m not saying that anyone there has told me that, but I kind of wonder if the wheels are turning about going after a big fish this summer.